R is one of the most popular programming language for performing statistical analysis and predictive modeling. Many recent surveys and studies claimed "R" holds a good percentage of market share in analytics industry. Data scientist role generally requires a candidate to know R/Python programming language. People who know R programming language are generally paid more than python and SAS programmers. In terms of advancement in R software, it has improved a lot in the recent years. It supports parallel computing and integration with big data technologies. The following is a list of most frequently asked R Programming Interview Questions with detailed answer. It includes some basic, advanced or tricky questions related to R. Also it covers interview questions related to data science with R.
1. How to determine data type of an object? str(x) returns "Factor w/ 5 level"
2. What is the use of mode() function? It returns the storage mode of an object. The above mode function returns numeric. 3. Which data structure is used to store categorical variables? R has a special data structure called "factor" to store categorical variables. It tells R that a variable is nominal or ordinal by making it a factor. 4. How to check the frequency distribution of a categorical variable? The table function is used to calculate the count of each categories of a categorical variable. If you want to include % of values in each group, you can store the result in data frame using data.frame function and the calculate the column percent. The cumsum function is used to calculate the cumulative sum of a categorical variable. 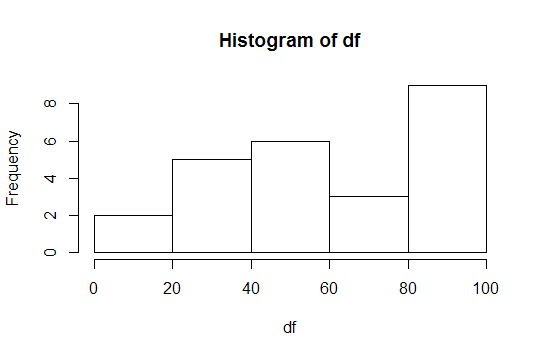 The hist function is used to produce the histogram of a variable. First calculate the frequency distribution with table function and then apply pie function to produce pie chart. If you run this vector z <- x*y , what would be the output? What would be the length of z? It returns 8 15 12 with the warning message as shown below. The length of z is 3 as it has three elements. First Step : It performs multiplication of the first element of vector x i.e. 4 with first element of vector y i.e. 2 and the result is 8. In the second step, it multiplies second element of vector x i.e. 5 with second element of vector b i.e. 3, and the result is 15. In the next step, R multiplies first element of smaller vector (y) with last element of bigger vector x. 10. What are the different data structures R contain? The first three data types (vector, matrix, array) are homogeneous in behavior. It means all contents must be of the same type. The fourth and fifth data types (list, data frame) are heterogeneous in behavior. It implies they allow different types. And the factor data type is used to store categorical variable. 11. How to combine data frames? The cbind() function is used to combine data frame by columns. The rbind() function is used to combine data frame by rows. While using cbind() function, make sure the number of rows must be equal in both the datasets. While using rbind() function, make sure both the number and names of columns must be same. If names of columns would not be same, wrong data would be appended to columns or records might go missing. 12. How to combine data by rows when different number of columns? The bind_rows() function from dplyr package can be used to combine data frames when number of columns do not match. 13. 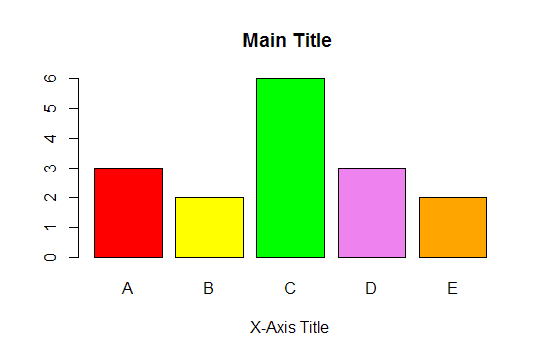 What are valid variable names in R? A valid variable name consists of letters, numbers and the dot or underline characters. A variable name can start with either a letter or the dot followed by a character (not number). A variable name such as .1var is not valid. But .var1 is valid. A variable name can have maximum to 10,000 bytes. 14. What is the use of with() and by() functions? What are its alternatives? The by() function is equivalent to group by function in SQL. It is used to perform calculation by a factor or a categorical variable. In the example below, we are computing mean of variable var2 by a factor var1. The group_by() function in dply package can perform the same task. 15. How to rename a variable? In the example below, we are renaming variable var1 to variable1. The rename() function in dplyr package can also be used to rename a variable. 16. What is the use of which() function in R? The which() function returns the position of elements of a logical vector that are TRUE. In the example below, we are figuring out the row number wherein the maximum value of a variable x is recorded. It returns 3 as 10 is the maximum value and it is at 3rd row in the variable x. 17. How to calculate first non-missing value in variables? Suppose you have three variables X, Y and Z and you need to extract first non-missing value in each rows of these variables. The coalesce() function in dplyr package can be used to accomplish this task. 18. How to calculate max value for rows? With apply() function, we can tell R to apply the max function rowwise. The na,rm = TRUE is used to tell R to ignore missing values while calculating max value. If it is not used, it would return NA. 20. Does the following code work? It does not work. The logic operation on NA returns NA. It does not TRUE or FALSE. 21. What would be the final value of x after running the following program? The operator "<<-" tells R to search in the parent environment for an existing definition of the variable we want to be assigned. The as.numeric() function returns a vector of the levels of your factor and not the original values. Hence, it is required to convert a factor variable to character before converting it to numeric. 23. How to concatenate two strings? The paste() function is used to join two strings. A single space is the default separator between two strings. If you want to change the default single space separator, you can add sep="," keyword to include comma as a separator. paste(a, b, sep=",") returns "Deepanshu,Bhalla"
The last name is the end string of the name. For example, Jhonson is the last name of "Dave,Jon,Jhonson". The word() function of stringr package is used to extract or scan word from a string. -1 in the second parameter denotes the last word. The trimws() function is used to remove leading and trailing spaces. a = " David Banes "
The runif() function is used to generate random numbers. 28. How to apply LEFT JOIN in R? LEFT JOIN implies keeping all rows from the left table (data frame) with the matches rows from the right table. In the merge() function, all.x=TRUE denotes left join. 31. How to measure execution time of a program in R? 32. Which package is generally used for fast data manipulation on large datasets? The package data.table performs fast data manipulation on large datasets. See the comparison between dplyr and data.table. Result : data.table package took 0.04 seconds. whereas dplyr package took 0.07 seconds. So, data.table is approx. 40% faster than dplyr. Since the dataset used in the example is of medium size, there is no noticeable difference between the two. As size of data grows, the difference of execution time gets bigger. 33. How to read large CSV file in R? We can use fread() function of data.table package. We can also use read.big.matrix() function of bigmemory package. 34. What is the difference between the following two programs ? In the first case, it created two vectors v1 and v2 and a data frame temp which has 2 variables with improper variable names. The second code creates a data frame temp with proper variable names. 36. What are the various sorting algorithms in R? Task : You need to sort score variable on ascending order and then sort experience variable on descending order. Suppose you need to remove 3 variables - x, y and z from data frame "mydata". 41. How R handles missing values? 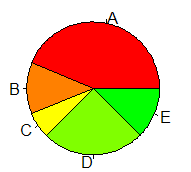 Missing values are represented by capital NA. Suppose you have a data consisting of 25 records. You are asked to remove duplicates based on a column. In the example, we are eliminating duplicates by variable y. The reshape2 and tidyr packages are most popular packages for reshaping data in R.
The number of months unit is not included in the base difftime() function so we can use interval() function of lubridate() package. lapply returns a list when we apply a function to each element of a data structure. whereas sapply returns a vector. 49. Difference between sort(), rank() and order() functions? The sort() function is used to sort a 1 dimension vector or a single variable of data. The rank() function returns the ranking of each value. The order() function returns the indices that can be used to sort the data. It sorts the data on ascending order. 2 implies the number in the first position is the second lowest and 8 implies the number in the second position is the eighth lowest. 7 implies the 7th value of x is the smallest value, so 7 is the first element of order(x) and i refers to the first value of x is the second smallest. If you run x[order(x)], it would give you the same result as sort() function. The difference between these two functions lies in two or more dimensions of data (two or more columns). In other words, the sort() function cannot be used for more than 1 dimension whereas x[order(x)] can be used. The list below contains most frequently asked interview questions for a role of data scientist. Most of the roles related to data science or predictive modeling require candidate to be well conversant with R and know how to develop and validate predictive models with R.
51. Which function is used for building linear regression model? The lm() function is used for fitting a linear regression model. 52. How to add interaction in the linear regression model? :An interaction can be created using colon sign (:). For example, x1 and x2 are two predictors (independent variables). The interaction between the variables can be formed like x1:x2. x1:x2 - It implies including both main effects (x1 + x2) and interaction (x1:x2). 53. How to check autocorrelation assumption for linear regression? 54. Which function is useful for developing a binary logistic regression model? glm() function with family = "binomial"
55. How to perform stepwise variable selection in logistic regression model? Run step() function after building logistic model with glm() function. 56. How to do scoring in the logistic regression model? 57. How to split data into training and validation? 58. How to standardize variables? 60. Which are the popular R packages for decision tree? 61. What is the difference between rpart and party package for developing a decision tree model? rpart is based on Gini Index which measures impurity in node. Whereas ctree() function from "party" package uses a significance test procedure in order to select variables. 62. How to check correlation with R? 63. Have you heard 'relaimpo' package? It is used to measure the relative importance of independent variables in a model. 64. How to fine tune random forest model? 65. What shrinkage defines in gradient boosting model? Shrinkage is used for reducing, or shrinking, the impact of each additional fitted base-learner (tree). 66. How to make data stationary for ARIMA time series model? Use ndiffs() function which returns the number of difference required to make data stationary. 67. How to automate arima model? 68. How to fit proportional hazards model in R? Use coxph() function of survival package. 69. Which package is used for market basket analysis? 15 Responses to "Top 100 R Interview Questions and Answers"
This is a really interesting post. It is useful for more than just interview questions. It is more like insights into how R works. Agree with Mike, above this is a neat compendium on R features and tips & tricks to handle data. Well done Deepanshu. This is really good deepanshu. Thank you for sharing great list of data science interview questions and answers. I am looking for more question and answer. Thanks Deepanshu for sharing very informative and useful questionnaire.